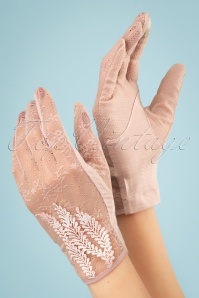 The 40s Ruth Lace Gloves are super chic! You're enjoying a cup of tea when the Lord asks you for a stroll around the villa. But of course my Lord! While getting your umbrella you put on these beauties. 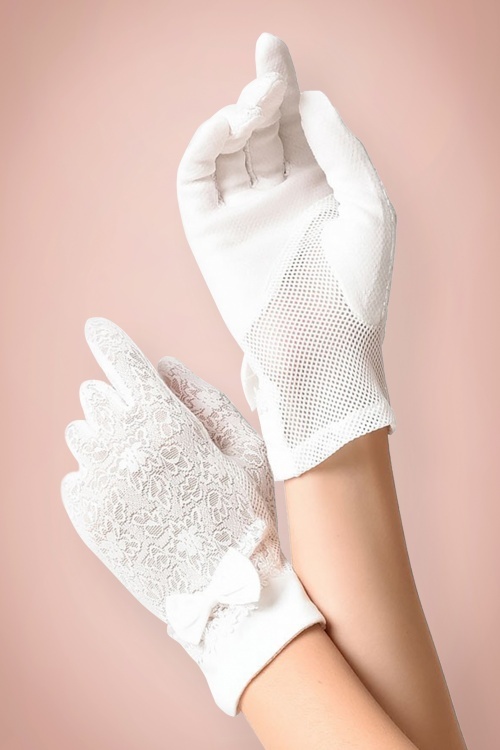 And look, they even have a anti-slip grip panel so you can take your cup of tea carefree ;-) Made from a soft, stretchy, ivory white fabric with elegant flower lace, embroidered flowers and a cute bow. 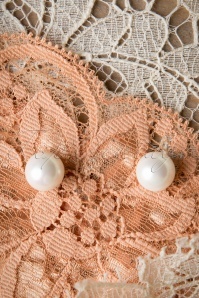 Fancy, just like Downton Abbey!